If you are being reproached for the name of Christ, you are happy, because the spirit of glory, yes, the spirit of God, is resting upon you.—1 Pet. 4:14. It is good for us to remember that in the first century, genuine Christians were hated by many—if not the majority—of their contemporaries. Can the inspired words of today’s text be applied to Jehovah’s Witnesses today? Yes, indeed, because we bear witness to Jesus’ kingship. Thus, being hated for bearing Jehovah’s name is the same as “being reproached for the name of Christ,” who said to his opposers: “I have come in the name of my Father, but you do not receive me.” So the next time you experience opposition in your witnessing work, take courage. Such mistreatment is proof that you have God’s smile of approval and that his spirit “is resting upon you.” At the same time, remember that fine increases are being enjoyed in many parts of the world. From the very beginning of his ministry Jesus was persecuted by the Jews, even by his own townsfolk in Nazareth. It all started shortly after he was baptized. And after the spirit led him back to Galilee Jesus took up his ministry, teaching in their synagogues and healing. Then he stood up in the synagogue in Nazareth and read from the scroll of Isaiah and announced that he was the foretold Messiah. Afterwards he explained to them that he would not be performing any powerful works among them because of their lack of faith —at which point the Jews mobbed him and tried to throw him off a nearby cliff. 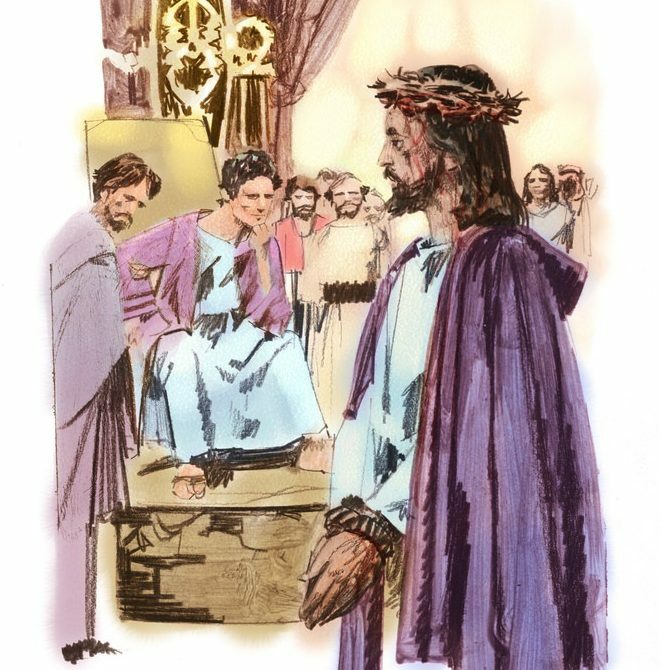 Later when Jesus went up to Jerusalem he explained to the faithless Jews there that the reason they could not listen to him was because they were under the influence of the Devil and they wished it so. Naturally, if a person is under the authority of Satan they will be opposed to those who are obedient to Christ. Nevertheless, obviously Jehovah is much more powerful than Satan. So it is only by God’s permission that the sons of disobedience are allowed to persecute us. That is why on the occasion when the Nazarenes tried to throw Jesus off the precipice the account says he walked through their midst —evidently under the power of the spirit of Jehovah. It was not Jehovah’s time. However, there came the time when God took his protective spirit away. That is why Jesus said to the Jews: “While I was with you in the temple day after day, you did not lay your hands on me. But this is your hour and the authority of darkness.” That “hour” arrived at the Passover table when Satan entered into Judas, which set into motion the events that led to Jesus’ arrest, trial and death at the hands of the murderous Jews and Roman authorities. All the evidence points to the nearness of that hour.